FRM, or Financial Risk Management, is a qualification for risk management professionals, particularly those involved in controlling, analyzing and evaluating potential credit risk, liquidity risk, market risk as well as non-market related financial risks. This career is for anyone who has the ability to take calculated risks on a regular basis, to work under loads of pressure and undertake great monetary transactions. These people must have an understanding of the state of affairs of the market as well as the condition of the industries in the region they work. What is a certified FRM? 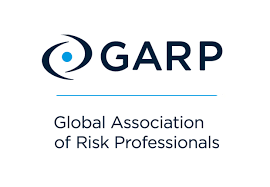 A certified FRM is a designation given by the Global Association of Risk Professionals (GARP). It is commonly viewed as the globally recognized gold standard for risk professionals. How to become a Certified FRM? Step 1: Register for the FRM exam (Part I). Step 2: Clear the exam and register for the FRM exam (Part II). Step 3: Clear the exam. Step 4: Work full time for at least two years in a financial risk role. Step 5: Congratulations! You can now start your journey! What is the FRM exam? It is a globally recognized standard for measuring the skills and knowledge of those who aim to manage financial risks. Offered in two parts (as already told), it is an exam in which questions are designed so as to relate theory with practical, real-world problems. When and how does the exam happen? Well, you can take the exam twice in a year—May and November. The exam is conducted in English so knowing that language is a must! It is conducted in person, and each part of the exam is four hours long. No, clearing the exam gets you a certification. It is not a degree. 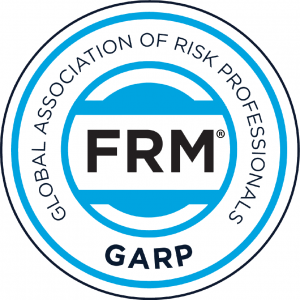 You are now a certified Financial Risk Manager, not an undergraduate or a postgraduate! All these positions are available in the finance industry. Be it banks, accounting firms, financial institutes or management consulting firms—all of them need and hire risk managers. Being a certified FRM gets the applicant an upper-hand when these applications are considered. The format is MCQ type (multiple choice questions). And the cost ranges from $750 to $1050 for each part, based on when you register. Part of the examination is a $400 enrollment fee.